There’s so many different ways to spend your evenings that you’ll never get bored when you visit the main town centre area of Kusadasi. Whether you’re out for some family fun, or you’re on holiday with your mates or as a couple, there’s definitely something for everybody to enjoy, every night of the week! As the many shops are open til late, you can shop til you drop and grab some holiday bargains before or after dinner, it’s up to you! Seriously, when we say the shops are open til late, we mean it! As holidaymakers who visit regularly will already know, the shops in the centre of the town are a hive of activity, at night, for those who don’t want to trail around the shops during the heat of the day. Want to watch the sunset? Take a leisurely stroll along Kusadasi ‘s lovely, main promenade, enjoy the different sights along the way, before catching the sun as it sets over the beautiful Aegean sea, signalling the end of another perfect day! 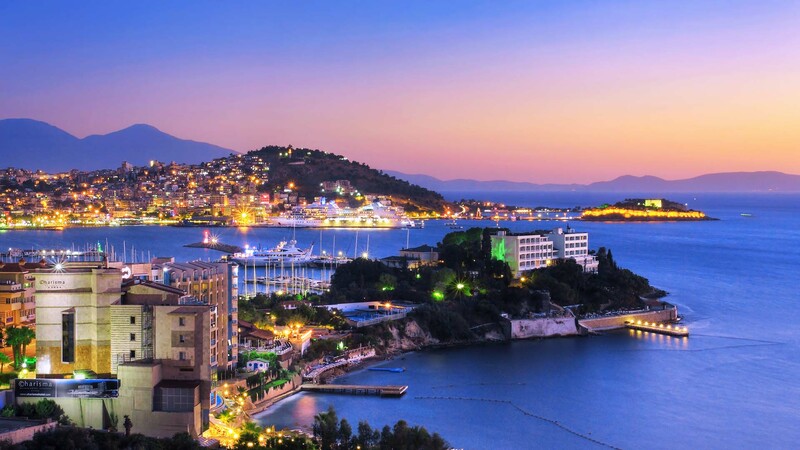 Whether it’s before dinner to build up your appetite, or, after dinner, to walk off a bit of that holiday over- indulgence, the sight of the sun setting beyond Kusadasi’s famous Hand of Peace statue, is definitely one worth seeing. You might also get to see one of the many cruise ships that will be visiting the Port of Kusadasi this summer! You can even take a short boat trip and watch the sun setting whilst you cruise around the harbour! Cafes, bars and restaurants are not in short supply in Kusadasi. As it’s Turkey, it’s only natural that many variations of Turkish cuisine is readily available, from snacks served by street vendors and local cafes, to main meals such as the various types of kebabs that are served in restaurants. Seafood is also popular and widely available. As we have an international menu at Planet Yucca Restaurant, this means, although we do serve Turkish cuisine and, of course, seafood, we also serve Italian pasta dishes and pizzas, and we’re sure any meat lovers out there will also be pleased with our Steak/Grill menu. If you’re missing your Chinese or Indian food, there’s no need to worry cos we’ve got that covered, or if you fancy some fajitas or a Thai green curry, you’ll know where to come, to satisfy your taste buds! We also have a good range of vegetarian dishes, and,if you have a specific dietary requirement, our Head Chef will try his best to accommodate you! For the little blossoms in your life, we also have a special kids menu that’s sure to keep them happy! There’s live music and entertainment for all age groups in Kusadasi. Bellydancing is popular for all ages in Turkish culture, and seeing some traditional belly dancing is always a treat. You can even join in the fun and give it a try! Watching a salsa/samba carnival danceshow before joining in with a bit of dancing – or not – is also a fun way to enjoy part of your night! After all this, the kids will also be happy to join in with some popular party dances to round off their night! Depending when you visit Kusadasi, you can even watch the fantastic ‘Tribute to Elvis’ show performed by the Irish Entertainment Award winning, Greg Traynor. Greg usually visits Kusadasi twice a year and can be seen entering the building at Planet Yucca, keeping the memory of Elvis alive, as he entertains everyone with some great rock and roll ! You’ve probably heard the saying ‘keeping live music alive’, well, in Kusadasi, we do this best! You can visit Turkish music bars and listen to traditional Turkish folk songs performed by talented,local musicians and even join in with some turkish folk dancing! At Planet Yucca, we really are great believers in the importance of live music, so much so, that every night we have the best, local musicians, giving you the best live music in Kusadasi. With hits from the 50’s to the present day, whether you’re into The Beatles or Ed Sheeran, we can almost guarantee you will be on the dancefloor or singing along at some point during the evening. They might even introduce you to a couple of hits from the Turkish popular music charts, that you’re sure to enjoy! 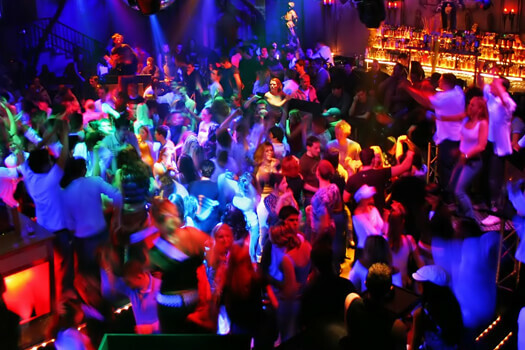 When it’s got to the 2am mark, if you still aren’t ready to call it a night, there are plenty of bars that stay open until around 4am, where you can finish off your night with some DJ music or a bit of the old karaoke! 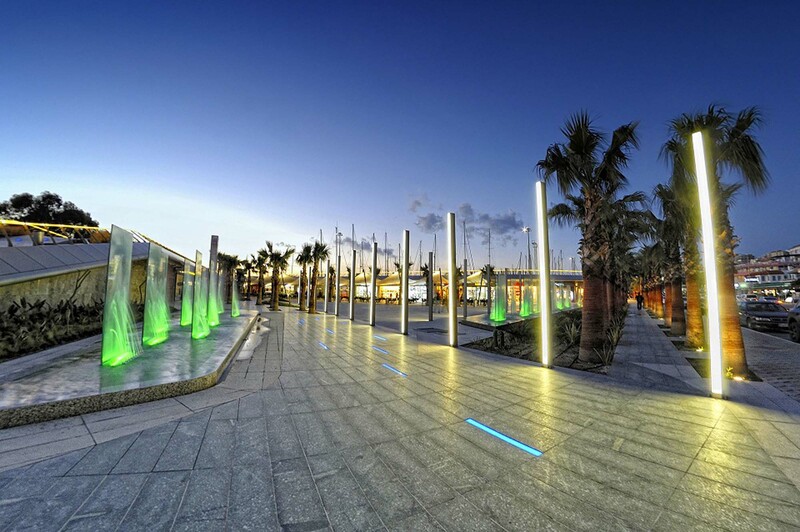 As you can see, there’s so much to do in the main town centre area of Kusadasi, that one night will not be enough!